Nature has always compelled us to applaud its angelic artistry that splashes recurrently but only a few eyes get hold of that. Thanks to a student from Georgia Tech, the above photograph shows an exquisite and symmetrical fence made by an “unknown” insect to protect her eggs. Troy was on a research project related to parrot biology and conservation in the thick forests of Amazon, South America when he stumbled onto an this enchanting structure on tree trunks. 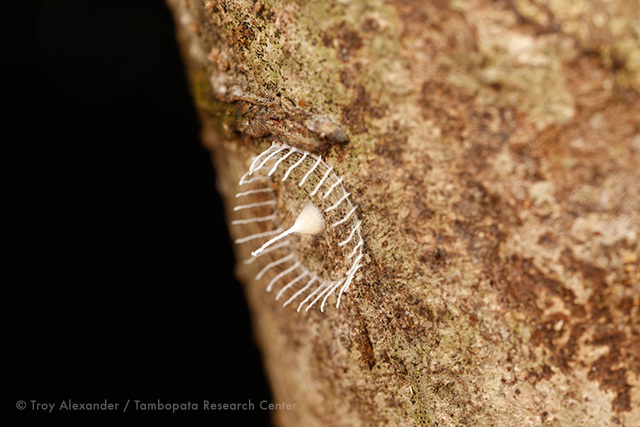 This engineering structure has now grasped the attention of entomologists across the world.